In 1969, the Mechanical Engineering Technology degree was the first program on campus to receive a nationally recognized accreditation through the Accreditation Board for Engineering and Technology (ABET). 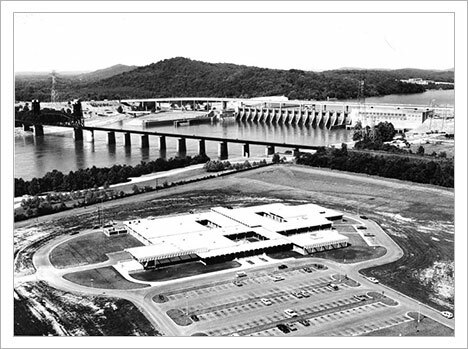 Chattanooga State 1968 aerial photograph, courtesy of the Chattanooga-Hamilton County Bicentennial Library, Paul A. Hiener Collection. The Chattanooga State Technical Institute was a State supported school of education conducting technical programs of two-years in duration. Its purpose is to educate persons whose interest and activities are directed primarily toward the engineering or other scientific technologies. It is the philosophy of the Chattanooga State Technical Institute to present the humanities, the related subjects, and the technical specialty materials in such a manner that the graduates will be fully cognizant of both the theories and skills of their technical field, and those qualities of the mind and spirit which fit them to meet the growing responsibilities of good citizenship in our modern, complex society. Viewing this task in the light of today's circumstances and the indicated needs of the future, we establish these to be the guiding principles and purposes of Chattanooga State Technical Institute. Our primary obligation is to prepare our students according to their individual qualities, aptitudes, and interests for the fullest usefulness and responsible citizenship as granted them by their American heritage. Our secondary obligation is to the industry and business of the State of Tennessee and of the nation to supply their needs of scientific and technical personnel at levels appropriate to the Institute. We will provide the opportunities for education to qualified applicants without regard to race, creed, or station in life. We will strive to maintain flexibility in our programs and policies so that we may meet the new and changing needs of both the educational and technical fields. In our educational programs and in the relationship between teacher and student we will stress the social and moral values without which learning has no direction or constructive purpose. The Engineering Technology Division offers three Associate of Applied Science degrees with thirteen concentrations, a Pre-Engineering transfer program, and one Technical Certificate in Computer Aided Drafting. The Division has thirteen full time faculty and staff along with twenty-three part-time faculty. We serve the citizens and communities of southeast Tennessee, northwest Georgia, and northeast Alabama. Since you may be encountering new terminology, it is felt the following definitions are necessary. Technical Institute is a school of higher education designed to educate the engineering technician in a curriculum described as engineering technology. Engineering Technology is that part of the engineering field which requires the application of scientific and engineering knowledge and methods combined with technical skills in support of engineering activities; it lies in the occupational area between the craftsman and the engineer at the end of the area closest to the engineer. Engineering Technology is concerned primarily with the application of established scientific and engineering knowledge and methods. Normally engineering technology is not concerned with the true engineering field of development of new principles and methods. 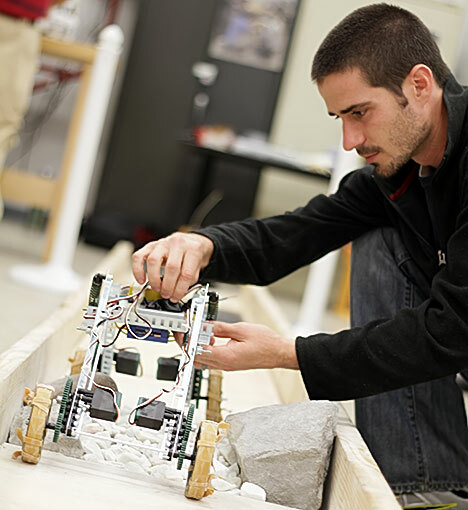 Engineering Technology Curriculum is a planned sequence of college-level courses, leading to an associate degree, designed to prepare students to work in the field of engineering technology. The term college-level indicates the attitude with which the education is approached, the vigor, the degree of achievement demanded, and not solely or even necessarily that the credits are transferable to baccalaureate programs. An Engineering Technician is one whose education and experience qualify him to work in the field of engineering technology. He differs from a craftsman in his knowledge of scientific and engineering theory and methods and from an engineer in his more specialized background and in his use of technical skills in support of engineering activities.